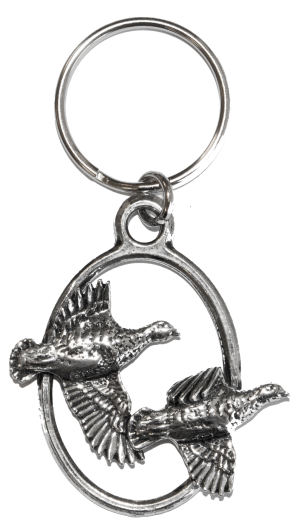 Beautiful detailed keyring depicting 2 flying partridges, handmade in the UK from the finest English pewter. This would make fantastic gift idea for the shooter and game enthusiast. Great value for money!